The incident took place Wednesday night at the Mont-Vidéo ski resort in Barraute, in Abitibi-Témiscamingue. A teenager has died after jumping from a chairlift at the Mont-Vidéo ski resort in Barraute, in the Abitibi-Témiscamingue region of Quebec. 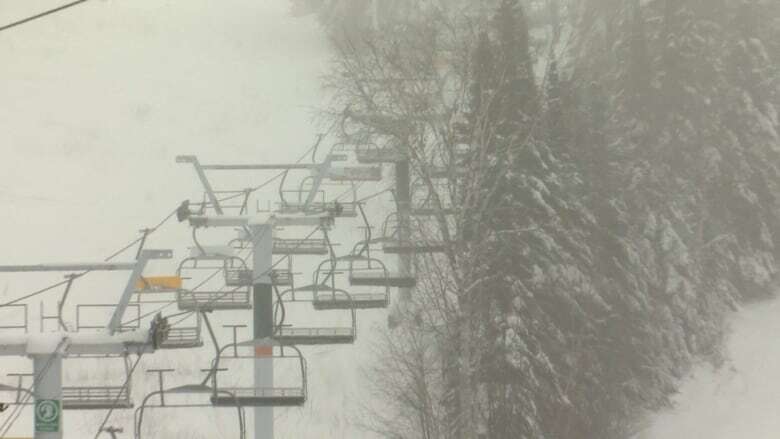 At around 9:15 p.m. Wednesday, the 15-year-old girl and her friend deliberately jumped off the chairlift before reaching the top, in order to access an off-track slope, Quebec provincial police said. The victim landed on a rock that was covered with snow. Her friend survived. According to Sûreté du Québec Sgt. Marie-Josée Ouellet, the victim was then transported to the Amos Hospital where she was pronounced dead. The SQ have launched an investigation, and Mont-Vidéo was closed on Thursday. In a statement, the ski resort said it wishes to offer condolences to the family members and friends of the victim. It's unclear whether the two girls were skiing or snowboarding.